“Sunset Ridge” is a fun, family vacation home for you, your family and friends. Located with Rumbling Bald Resort within a half mile of a resort pool, Apple Valley Golf Course and Pinnacle Restaurant. 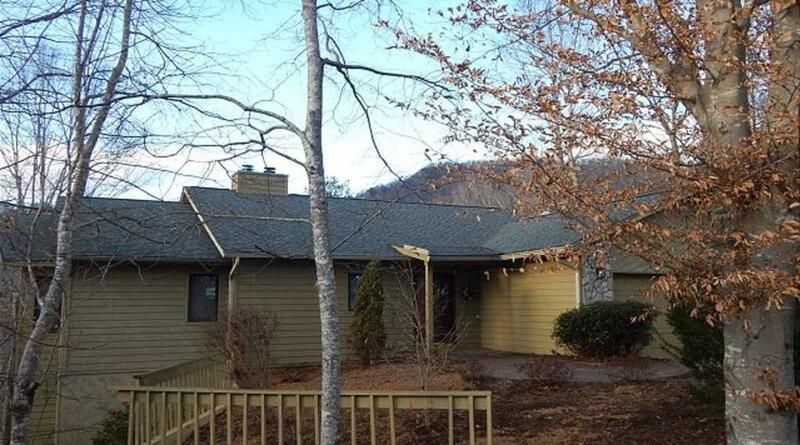 Also located 3 miles from the heart of the resort amenities: Wellness Center, Legends on the Lake Restaurant, Bald Mountain Golf Course and Lake Lure. Enjoy all the home and the resort amenities. During your stay you will enjoy the following: MAIN LEVEL: Master Bedroom Suite-King with large bathroom including a soaking tub and shower. Hall half bath. Large great room with stone wood burning fireplace-(only burn Duraflame logs-Oct. 1st-April 1st), flat screen TV, dining room-seating for 6 and a all-weather room. Open kitchen with breakfast nook- seating for 6. Laundry Room and 2 car garage. Main Living Area- opens to back deck from great room, all-weather room, kitchen and master bedroom. Master Bedroom, Great Room, Kitchen and All Weather Room all open to a large deck area. The deck is perfect for entertaining and relaxing while watching the magnificent sunsets over the mountains. LOWER LEVEL: Large great room with stone wood burning fireplace-(only burn Duraflame logs-Oct. 1st-April 1st), flat screen TV, wet bar and card table. Guest Bedroom-1-Queen, full hall bath, toy room. Guest Bedroom-2-King. Off the Guest Bedroom-2- is a smaller room with 1 bunk. Lower Deck with Screened in Porch w/ seating. Both guest bedrooms and great room open to a large deck area. The screened in porch is accessed by deck and by guest bedroom-2. 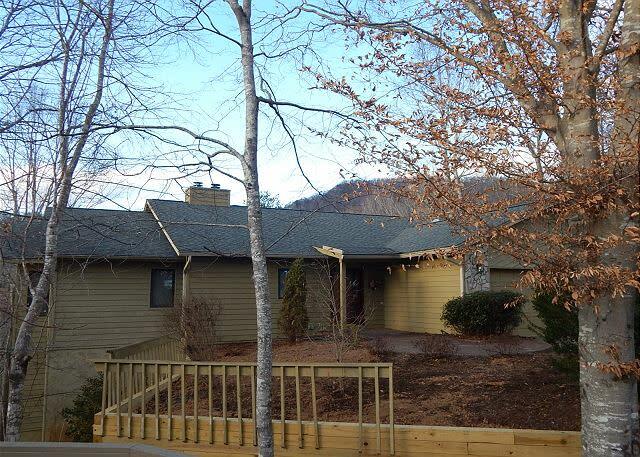 OUTDOOR AMENITIES: Fantastic Views, large open decks, screened in porch and gas grill ( we supply the propane).